To schedule an appointment with Dr. Robb McKeown, please call us at (865) 331-1122. Dr. McKeown sees himself as the educator and facilitator of patients, being “completely sensitive to physical and emotional needs.” He urges his patients to take an active role in their own obstetric and gynecologic care – and his easy demeanor puts patients at ease. He welcomes the collaborative nature of Fort Sanders Women’s Specialists’ practice model, where ideas and expertise can be shared. As an OBGYN generalist and renown surgeon, Dr. McKeown has special training in minimally-invasive laparoscopic and robotic surgeries. He has practiced in Knoxville for more than 11 years. 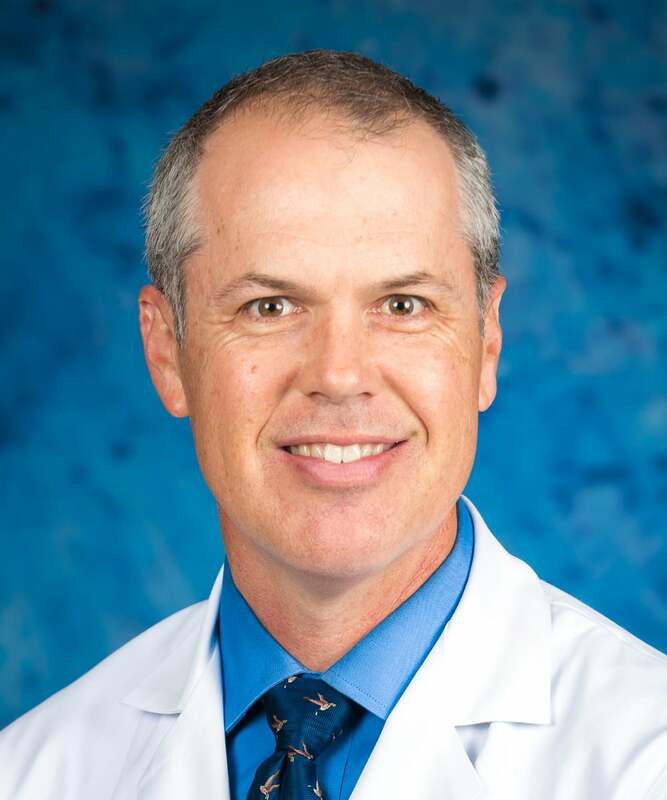 He received his Doctorate from Baylor College of Medicine in 1995 and completed his obstetric and gynecology residency at The University of Tennessee Hospital in Memphis. During his residency, he received many honors, including the Resident Teaching Award and the coveted Excellence in Gynecology Oncology Award. He is committed to maintaining expertise in women’s health, so he regularly takes courses to keep up with the latest advances in medical management and surgical techniques. He attended the Master’s Laparoscopic Course in Chicago, Illinois, a course reserved for individuals who exhibit excellent laparoscopic surgical skills and who have devoted their practice to the management of surgical procedures in a minimally invasive manner.